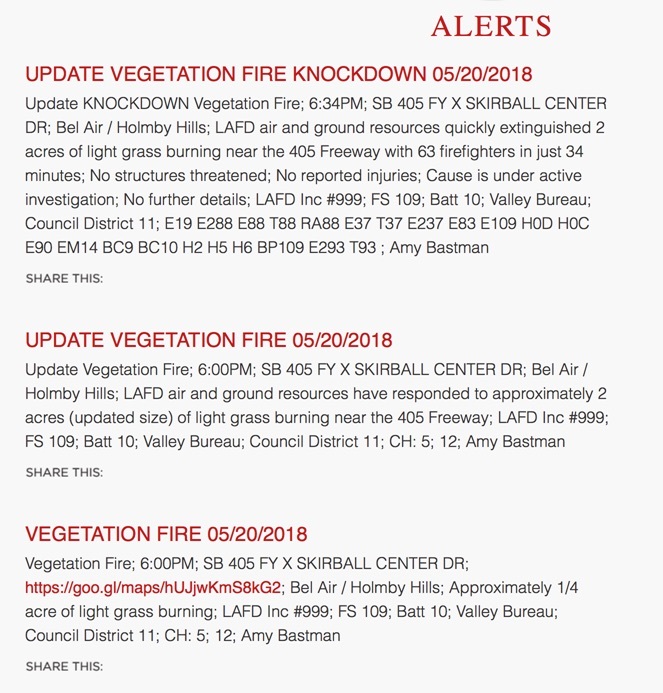 Last Sunday, May 20, 2018, at approximately 6:00 PM, LAFD responded to a vegetation fire at the southbound 405 and Skirball area. Two acres were burned. Cause of fire is still under investigation.